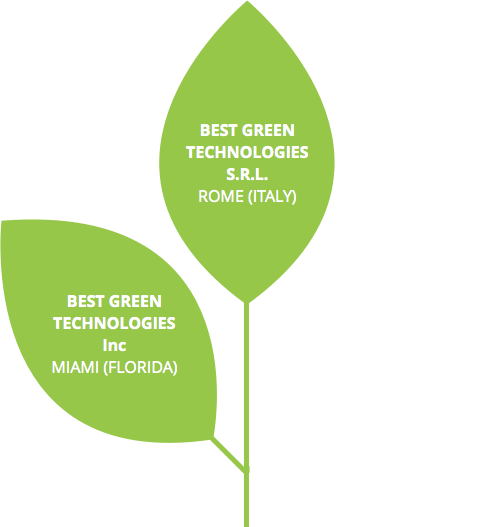 Best Green Technologies is a company based in the centre of Rome , which is pursuing an ambitious mission: to make available, at the international level, new HIGHLY eco-sustainable technologies for the agricultural sector, aimed at improving the quality and quantity of many productions, in any climate conditions. The founders of Best Green Technologies are entrepreneurs who put together their many years of experience as the driving force of their mission. Their activity is based on a combination of technical and technological skills, combined with a strong sensitivity to the environmental issues, especially the protection of the ecosystem and of the consumers’ health. Our Mission is to make the future possible today for highly sustainable and rational agriculture.